Nothing warms my heart more than seeing Ubuntu spreading, and it's even more wonderful to watch it happening locally with a fellow Colorado LoCo Team member! 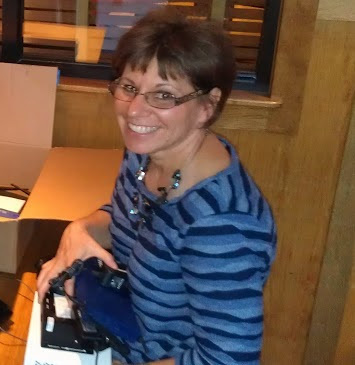 I met Diane Leikvold a few months ago at our Raring Release Party and she shared her passion for Ubuntu with the group at the party and followed up with an email to the Colorado LoCo Team. Her efforts to transform an entire school network to Ubuntu and offer training to the teachers and students is an inspiration and a great story that I couldn't help but share. The following interview was featured in the latest issue of Full Circle Magazine, but here are a few excerpts for a little background on her success bringing Ubuntu into Longmont Christian School in Colorado. You recently shared your success about the Longmont Christian School transition to Ubuntu with the Colorado Ubuntu Team, can you share your success with the community? I started teaching application software in the high school at Longmont Christian School in 2000 with 12 computers throughout the school (9 being in my lab) with a dial-up connection. The next year, we networked the school and doubled the amount of computers. By 2009 we were up to 63 computers running Windows 2000. In 2010, I wrote a proposal and presented our desire to change to Ubuntu to the principle of the school. After gaining his approval, I imaged all of the computers in the school with Ubuntu 10.04, wrote training material for the teachers, sent an e-mail out to notify the teachers of the upcoming changes and training dates. The week before school started, I trained all of the teachers and staff on Ubuntu and boldly started the year on the new platform. I was truly amazed at how smoothly it went for such a large change. The teachers embraced the new operating system and continue to enjoy using it today. Through the years, I brought down what I was teaching in the high school down to middle school and then elementary. I truly believe that what we have at Longmont Christian School is pretty awesome! I have 26 teachers, most were technology challenged and fearful, but they all love using Ubuntu and are doing so well. I have over 120 laptops/desktops dispersed throughout the school all installed with Ubuntu. I would love to get the word out to Canonical and Boulder County to spread the word even farther on how Ubuntu is a great solution. What influenced you to take on such a large project? What's the most rewarding aspect of the Longmont Christian School project? The school was using Windows 2000 and the support was up in the summer of 2010. We needed to upgrade our operating system, but the school was very budget constrained, so, with my husband’s encouragement, we looked into Ubuntu. The rest is history. The most rewarding aspect for me is how smooth the transition happened at our school and how easily the teachers adopted the new operating system. I am even able to support teacher curriculum through Wine in Ubuntu. Diane is also working on a Ubuntu video training series specific to the needs of the staff at Longmont Christian School. Her efforts to transition an entire Colorado school to Ubuntu have not only influenced a large number of people to discover Ubuntu, but has enabled the school to function without a large IT budget. She truly is an inspiration and a great motivator if anyone is looking to take on a similar project. To read the rest of Diane's story about transitioning an entire school to Ubuntu, check out page 45 of Full Circle Magazine, Issue 74.